and teaching ministry focused primarily on the completed redemptive work of Christ. In 1979, William recognized that there were conflicts with the eschatological teachings of the Bible and what was taught in pulpits, books and seminaries. He keenly recognized the weakening and embarrassing effect such discrepancies would have on the Bible and Christianity. He began to share his views of fulfilled Bible prophecy. His convictions and desire to teach the truth, led to a break with mainstream Amillennial churches of Christ. Over the years, those same views have served to create dialogues between denominations, and interactive ministries that to this day are not possible some churches of Christ although the landscape is now beginning to change as more preachers open up to study, and stand up against the intimidation of gate-keepers. William, along with others share a positive message that is welcomed across denominations, helping to bring about love, unity, open dialogue, friendship and peace that before was enmity, separation and closed doors of communication. In defense of is views in early 1981, William submitted a paper showing that Christ returned in AD70 as a response to his critics. The paper received much criticism and ridicule, but no valid objections or response. Several became full Preterists as a result and remain so till this day. Since that time, William has been one of the dominant influences in the continued growth and spread of fulfilled Bible prophecy through his writings, radio ministries, blogs, videos, and workshops, seminars and public speeches both nationally and internationally. William was one of the original speakers on The Living Presence Annual Seminar in Warren, OH hosted by Max R. King and the Parkman Road church of Christ. Before leaving the event in 1996, it had attracted students, preachers and elders from around the world, including world renown scholars. William is the author of five published books, Eschatology in Galatians, The ReExamination-A Review of William Jones’ Review of the AD70 Theory, Will Planet Earth Be Destroyed?, Living in Eternity, The 23rd Psalm, The Good Shepherd in the Temple of God. Other titles can be found on Amazon.com as Kindle books including “Have You Spoken In Tongues?, When Was the Law of Moses Fulfilled?, and Zionism, The Wolf in Judaism’s Clothing. In the late 1980’s he wrote a series of popular tracts that were distributed throughout the country and abroad. Currently, he has completed audio studies on The Kingdom-Temple and 1 Corinthians 15, and is working on a manuscript, In Like Manner, a study of Acts 1:11, to help believers struggling with their studies on the harmony of that text with Christ’s first century parousia. With the advent of digital technology and computers, William advanced from cassette recordings to recording a host of DVDs, CD’s and podcast recordings. He started broadcasting on YouTube about 7 years ago before many others began to realize its potential as an effective tool for sharing fulfilled Bible Prophecy. He also has a well-received international podcast. Currently, William serves as the co host of the popular, “Two Men and a Bible” internet radio broadcast with Don K. Preston, D. Div, President of Preterist Research Institute and author of approximately 30 top selling books on eschatology. The two have shared a close friendship since about 1983. The show airs every Tuesday at 6pm Central on BlogTalkRadio.com/FulfilledRadio. We also have a podcast on Spreaker.com titled All Bible Prophecy Fulfilled, and a weekly radio broadcast, The Eternal Word airing on WCDQ 93.1 FM in Mississippi, Louisiana and Alabama. In 1994, William defended his views in public oral debate. His opponent, Stephen Wiggins, a church of Christ preacher had agreed to a second debate, but reneged after the completing the first. The Memphis School of Preaching barred their students from attending the debate for fear they might be persuaded through an open investigation of the Scriptures. However, a few of them came privately to William’s home to study with him and changed their end times views to Covenant Eschatology. Larry Siegle, one of those students, became a leading influential speaker in the growing movement. Since that time, William engaged in several mock debates during the early to late eighties and nineties. One such mock debate occurred on the Memphis School of Preaching campus when William was accosted by the late Director, Curtis A. Cates, and Faculty members, Garland Elkins and Billy Bland in front of the entire student body who were standing in the library an earshot away. However, the 3 against 1 discussion did not fair well for the faculty who later insisted it be continued in a closed door discussion away from the hearing of the students. However, the students, with ears glued to the concrete block walls, with perfect acoustics heard every word. At the end of the discussion when the students returned to their classrooms, they were silent and dumb-founded for an entire afternoon over the inability to refute the teaching. This was reported by several students after the event occurred. Shortly after that meeting, four additional students came to William’s home to study or seek information. William is often complimented for a great voice, powerful deliveries and insightful research and perspectives on eschatology. He received his B.A. 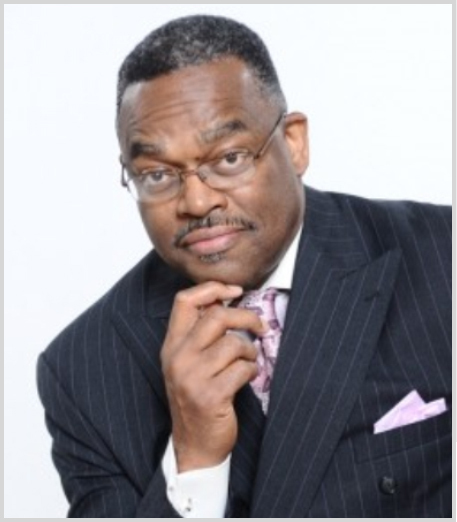 in Bible studies in 1981 from the Memphis School of Preaching, and his Masters of Theology, from Christian Bible College &amp; Seminary in 2006 and recently was awarded an honorary D. Div degree from Vision International in Ramona, California. He served for 7 years with MLGW before entering full time ministry and another 13 years with FedEx until he chose an early retirement in June 2000. Since that time he continued to engage in “tent making” in a variety of entrepreneurial pursuits to help support his family and ministry. William has preached for his local church for almost 33 years. He enjoys music and is a former drummer and bass guitarist from earlier years. Today, he coaches and consults with public speakers, authors and small business professionals to help them to create a stronger presence with their messages through information products and internet marketing. William is married to his lovely wife, Leora of 45 years. They have two daughters, of Memphis, and a son, who resides in Chicago. They also have 2 granddaughters and 2 grandsons. People loved our T-shirt and hoodie for Preterists. In the future new ideas should give more opportunities to get the conversations started. We offer quality books to help our readers and students who are being introduced to covenant eschatology, or the Preterist view of Scripture. More books are being written and we plan to share books by other authors. While we have many audio and cd recordings available there are other recordings not available to the general public. Check out our list of products. New CD recordings are added weekly. These are available on audio CD or Mp3 downloadable files with transcripts. All things fulfilled is dedicated to providing quality teaching and learning materials in the field of eschatology and other Bible themes. These include books, audio and video recordings, charts, pdfs and other resources. Do you have an idea for a product or service we can offer? Send us a note at info@allthingsfulfilled.com. Thanks!